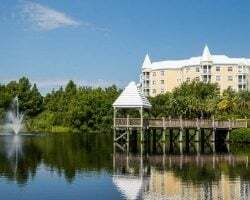 What’s My RCI Timeshare Worth? SellMyTimeshareNow.com features the largest number of RCI-affiliated timeshare resales on the web. To learn more about buying, renting, or selling an RCI timeshare, please fill out the form to the right to get in touch with a representative. Resort Condominiums International, or RCI, is the world's largest timeshare exchange company. With more than 7,000 affiliated resorts spread across the globe, members can exchange their timeshare accommodations each year and explore different destinations. When you buy a timeshare resale for up to 70% off retail prices, you can couple it with an RCI membership to maximize your yearly vacation experience while still saving thousands of dollars. Want to sell? We have visitors from all over the world browsing our inventory each day for RCI-affiliated timeshares for sale. Looking to buy? 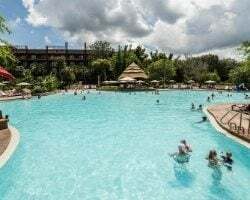 There are thousands of RCI-affiliated listings available right now on SellMyTimeshareNow.com, located at some of the best vacation resorts around the globe. Just need a one-time solution? We also connect RCI-affiliated owners looking to rent their accommodations with travelers seeking great deals on high quality accommodations. Own an RCI-affiliated timeshare? Find out how you can sell it through the timeshare resale marketplace. What is Your RCI Timeshare Worth? If you're looking to sell your RCI timeshare, find out how much it is worth by using our free market value survey. Find out how to rent out your RCI-affiliated timeshare during a year you're unable to use it. Learn more about buying RCI-affiliated timeshare resales. SellMyTimeshareNow.com features thousands of timeshare rentals at RCI-affiliated resorts. Discover how RCI points makes timeshare exchange easy for you to find your ideal vacation accommodations. Find out how you can become a member of one of the most trusted forms of timeshare exchange in the industry. Learn how you can exchange your timeshare with an RCI membership. View the the many popular resort brands across the globe that are affiliated with RCI. Discover some of the amazing benefits that come along with an RCI membership. Explore some timeshare resorts that have earned the distinguished Gold Crown rating from RCI. Learn more about RCI's resort directory and how to find affiliated resorts in your favorite destinations. No longer using your RCI timeshare ownership? Advertise it to interested vacationers across the globe. Already Own an RCI Timeshare?